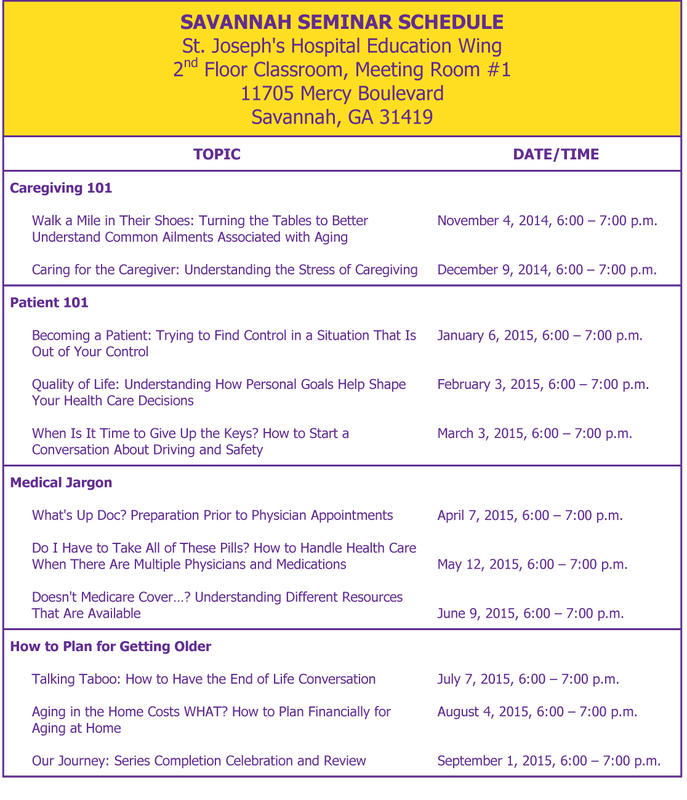 THA Group Island Hospice is pleased to announce their new Tools for the Journey year-long series of seminars, starting in October. 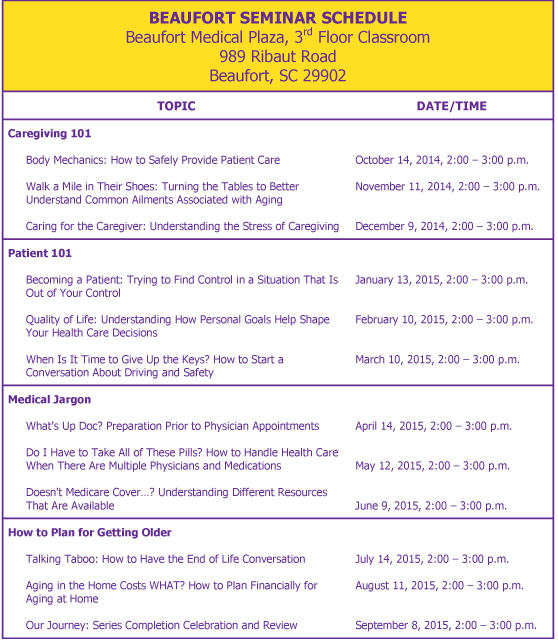 These free seminars will provide families with tips on aging at home and living independently as long as possible. 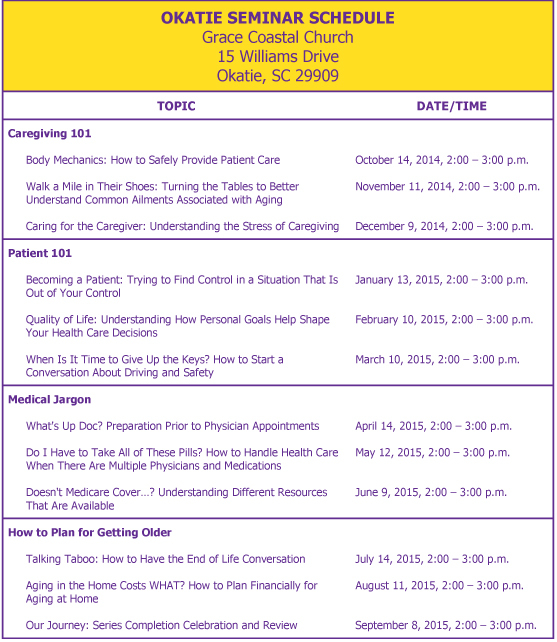 The series kicks off with the Caregiving 101 seminar on October 1, 2014 from 1:00 to 2:00 p.m. at Grace Coastal Church, 15 Williams Drive, Okatie, SC 29909, and October 14, 2014, from 2:00 p.m. to 3:00 p.m. at Beaufort Medical Plaza’s third floor classroom at 989 Ribaut Road, Beaufort, SC 29902. Participants will learn about general body mechanics, proper transfer techniques and safety measures to decrease the risk of injury in the home, and non-pharmacologic treatments of minor muscle injuries. For more information or to register for the seminar, call 888.842.4663, or contact Jennifer Massey at jmassey@thagroup.org (South Carolina) or Betsy Kane at ekane@thagroup.org (Georgia).